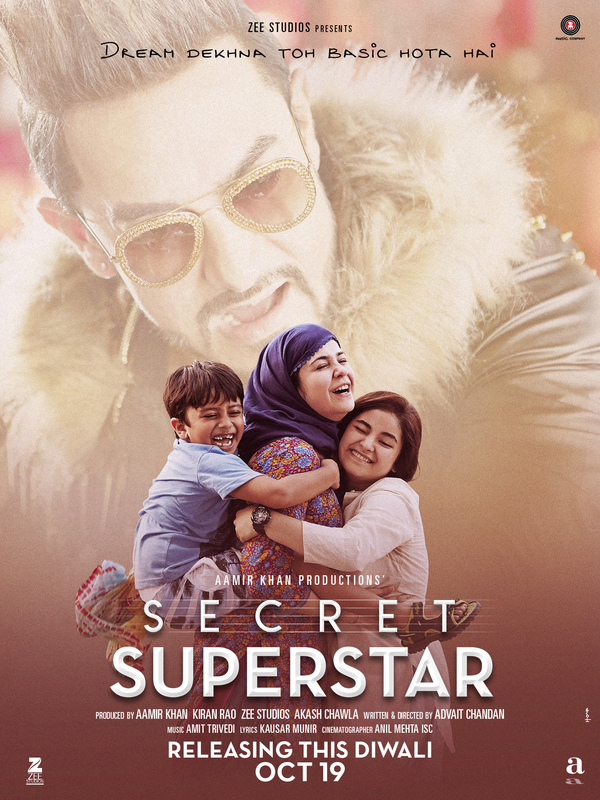 We have your first look at the Second Poster of the highly anticipated Secret Superstar. The film tells the story of Insiya, a young girl from a conservative family, with dreams of becoming the biggest singer in the country. Unable to reach anywhere due to family pressures, she secretly reaches her audience on YouTube and becomes an Internet sensation.